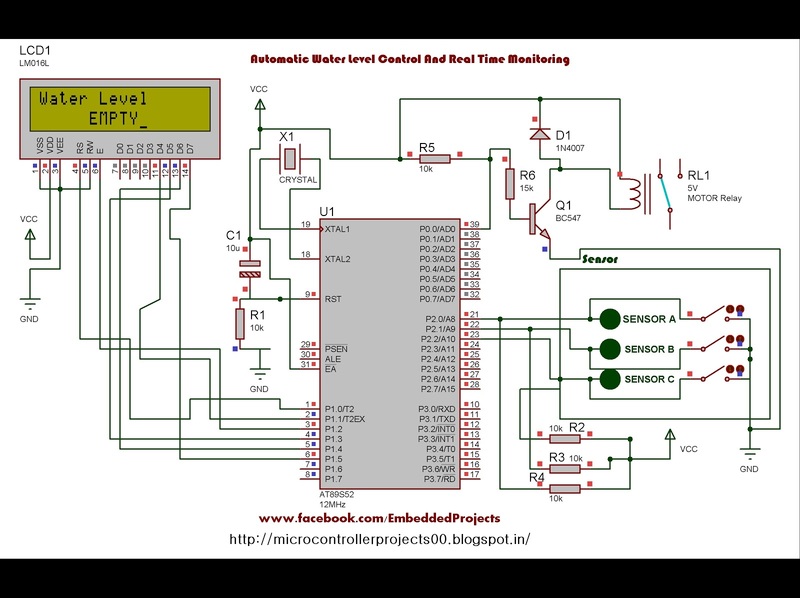 This project will control the water level and keep the level between two predefined upper and lower positions. Any sensors can be used for this project, condition is only that it should give an active low output when activated by water. Sensors are simply water activated switches which is connected to ground. I personally prefer read switch-magnet arrangement. 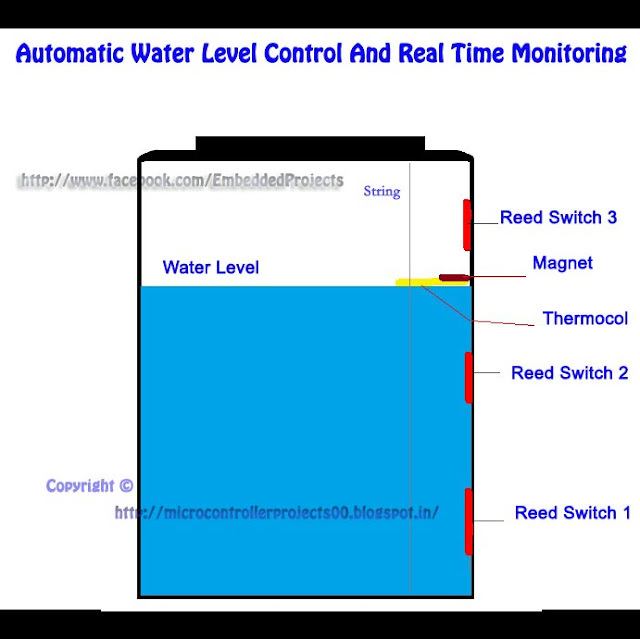 Read switches are fixed on water tank wall at desired positions, and magnet is fixed on a thermocol sheet which floats in water. Modify this idea by experimenting, for an accurate result. The designing of sensor arrangement is shown above. Sensors are read switches connected between PORT pins and ground. There is a magnet fixed on a thermocol which floats on water. Thermocol is free to move up and down through the string with the water level. When the thermocol reaches predefined water-levels the magnet and read switch come in contact and the read switch is activated and water level is detected. This is not an ultimate design, but just a design idea. The code is ok, please double check the circuit and your logic. This project is already done. if water is not come to tank,then pump on forever. its a great problem, please solve it.